The director says he has too much story left to tell. We’re going back to Pandora. Not once. Not twice. Not thrice. But FOUR TIMES! 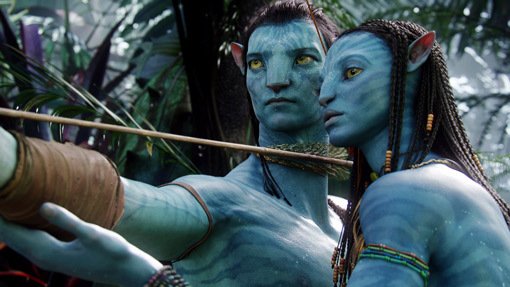 That’s the news that broke at this year’s CinemaCon presentation in Las Vegas when surprise guest, director James Cameron, took the stage and announced there will be four sequels to the 2009 blockbuster Avatar that earned a whopping $2.8 billion worldwide. "We have decided to embark on a truly massive cinematic process," Cameron said, according a report by The Hollywood Reporter. He had originally planned three sequels but apparently found he couldn't tell the full story: "We began to bump up against the limitations for our art form." Cameron said he plans to release Avatar 2 on Christmas of 2018, with the rest released in 2020, 2022 and 2023. The Academy Award-winning director says each of the sequels will stand alone but combined will create what he calls "a true, epic saga." "I've been working the last couple of years with a team of four top screenwriters to design the world of Avatar going forward: the characters, the creatures, the environment, the new cultures,” said Cameron. "So far, the art I'm seeing, is in pure imagination, really far beyond the first film," he added. Cameron won a Best Director Oscar for Titanic in 1997. According to Box Office Mojo, that film is in second place in worldwide box office receipts, right behind Avatar, which sits at number one.